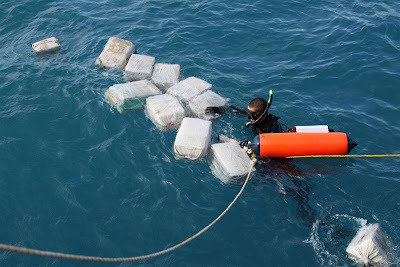 MIAMI — U.S. authorities have recovered nearly 15,000 pounds of cocaine worth an estimated $180 million from a sunken submarine-like vessel used by smugglers off the coast of Honduras, the Coast Guard said on Monday. The crew of the Boston-based Coast Guard Cutter Seneca intercepted a self-propelled semi-submersible vessel off the Caribbean coast of Honduras on July 13. Authorities detained the vessel's crew and recovered some drugs before the boat sank, the Coast Guard said. Several Coast Guard cutters, the Honduran Navy and FBI dive teams then used side-sonar equipment to search for the sunken submarine-like vessel, which was located on July 26. They spent about three days recovering the rest of the drugs, in what the Coast Guard described as the first underwater drug removal from such a vessel. "This is a once-in-a-career thing that happens," said Lieutenant Commander Peter Niles, commanding officer of the Coast Guard Cutter Oak, whose crew located the sunken vessel. The case is under investigation, and the contraband will be turned over to other U.S. law enforcement agencies, the Coast Guard said. Semi-submersible vessels typically are built in Colombian jungles and are less than 100 feet in length, according to the Coast Guard. 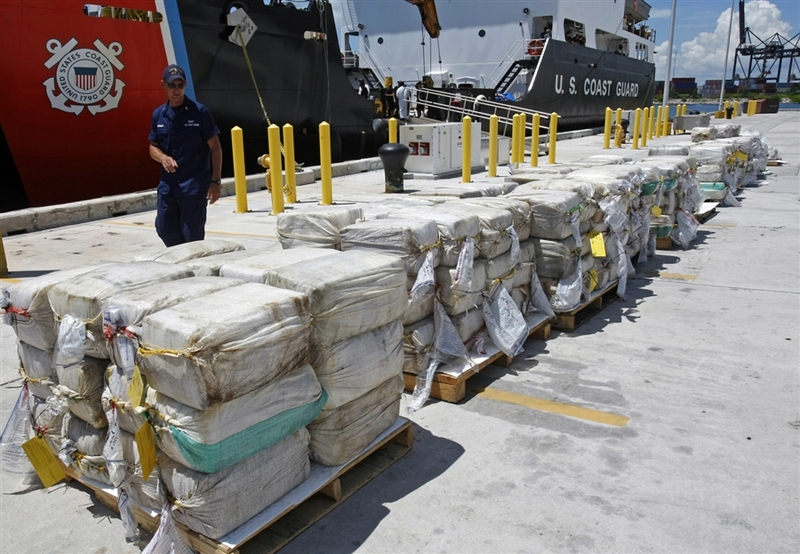 They carry up to 10 metric tons of drugs for distances up to 5,000 miles and are designed to sink rapidly to make it difficult for law enforcement to recover the cargo. Honduras is used by Mexican and Colombian cartels to traffic drugs to the United States. Mexican drug gangs have been moving into Central America since Mexico's government launched an army-led drive to crush them 4 1/2 years ago. "Our mission out here in the Caribbean is to keep drugs from crossing our borders and making our communities (back) home safer," said Commander Charles Fosse, commanding officer of the Seneca. "It's very satisfying for the crew."